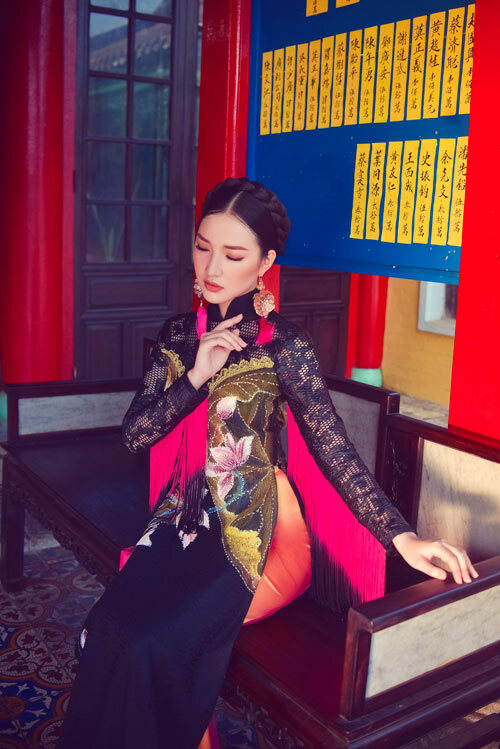 “Mystique Orient”, the latest ‘ao dai’ collection by designer Khanh Shyna with meticulously hand-embroidered lotus patterns, will be featured at the Hue Festival 2016. 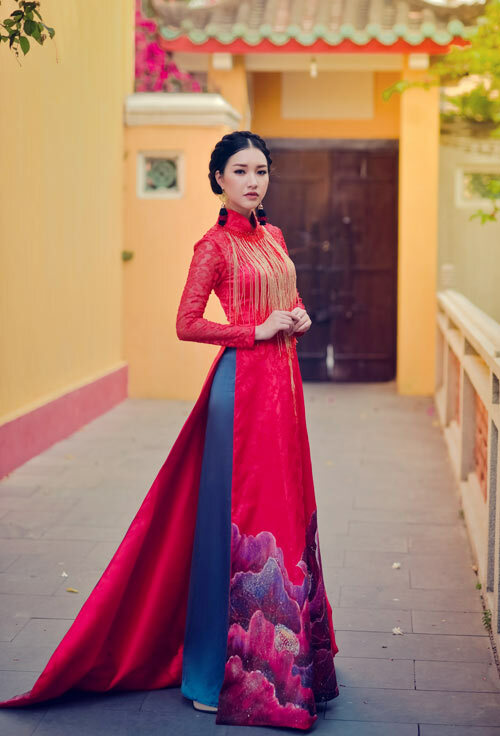 Having breathed in the Imperial City’s air for a long time, Khanh Shyna understands the nature of the ‘ao dai’s beauty. 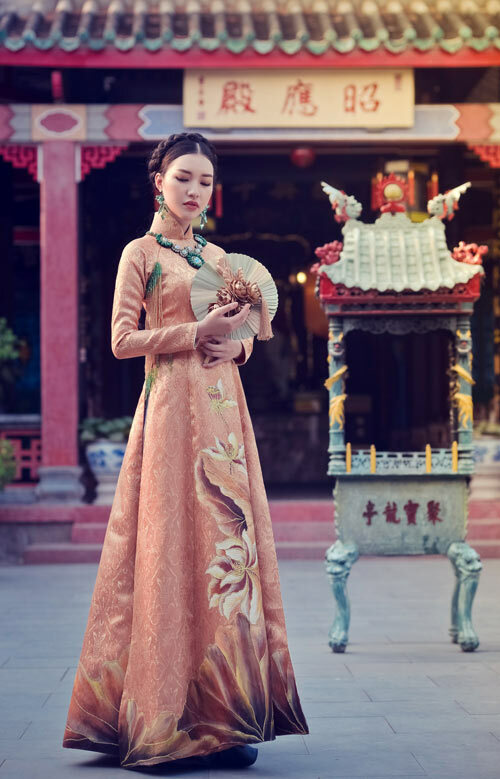 Khanh employs Hue's traditional hand embroidery techniques to create a variety of lotus motifs. from April 29 to May 4. 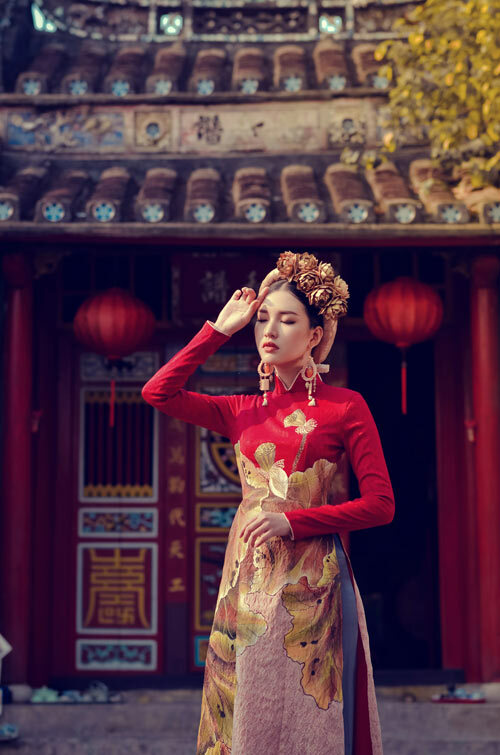 The latest ‘ao dai’ collection by Khanh draws inspiration from the lotus flowers inside Hue's Imperial City. 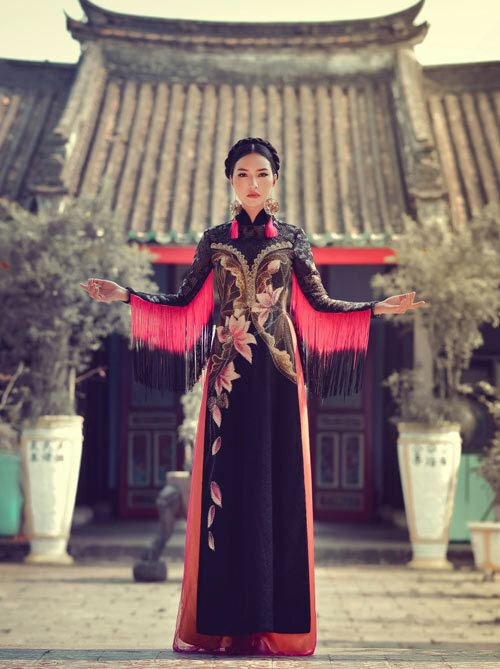 He hasn't changed the traditional silhouette but instead adds new details with velvet and silk. 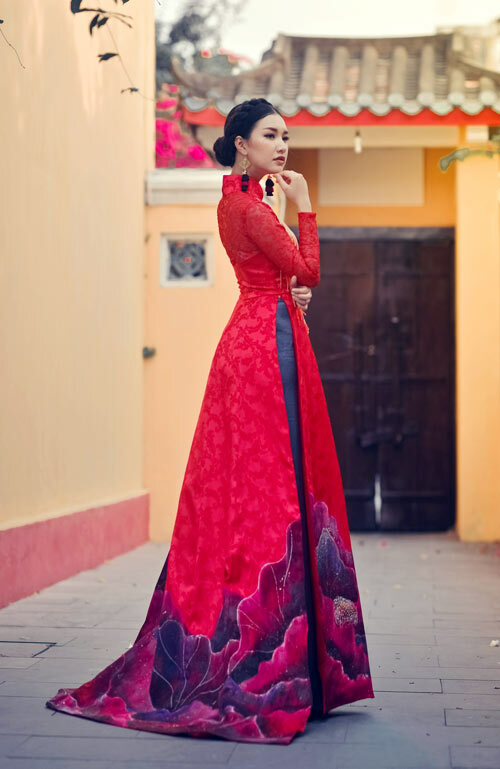 The whole collection is built on two familiar forms of the ‘ao dai’. 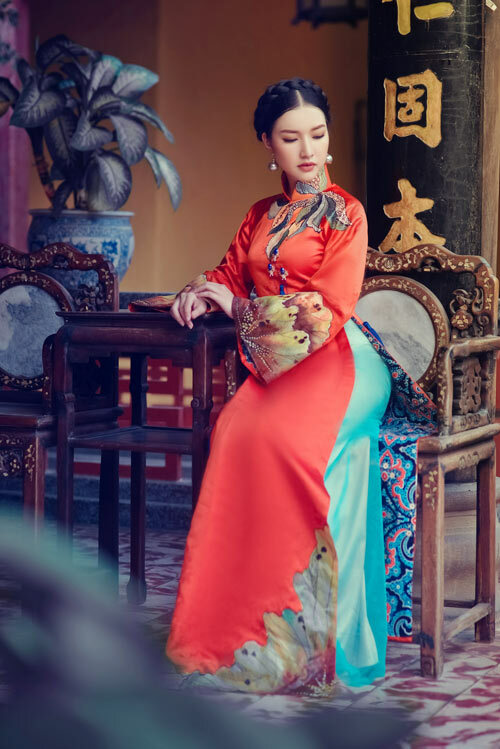 One with a tight waist and sleeves, the other with a loose waist and wide sleeves. 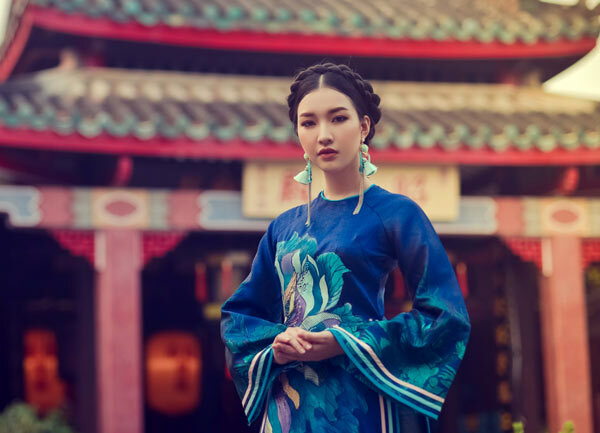 …and the jade blue mimics the color of the Huong River.